The moment for revisiting the grammar of the farmer's movement and pushing it to a radical position has arrived. 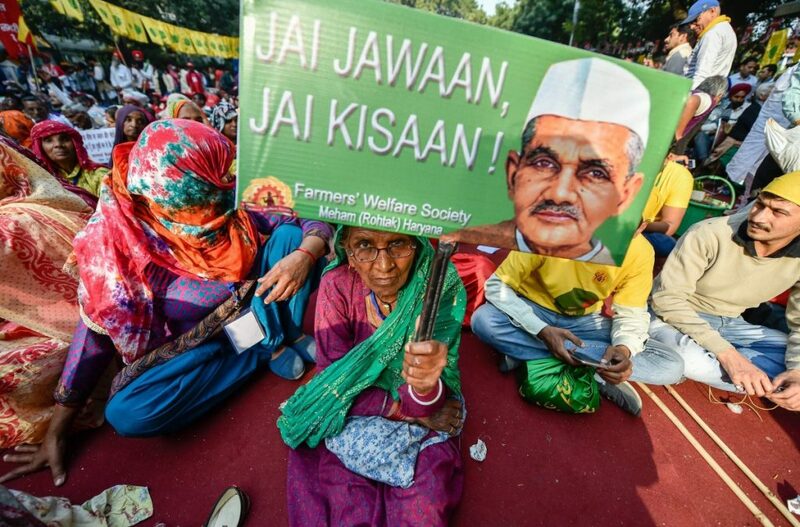 This Friday, thousands of farmers across India marched in central Delhi to demand action on the recommendations of the M.S. Swaminathan committee. Students marched alongside farmers, led by the umbrella body of All India Kisan Sangharsh Coordination Committee (AIKSCC). The farmers are battling a range of daunting challenges – from demonetisation, to crop insurance and rising debt. As I walked with them from Nizamuddin to Ramlila Maidan, I also realised their growing concern about the effects of climate change. The farmers I spoke to all said that climate change is impacting agricultural productivity and that the drastic changes have become silent killers. Farmers from Prakasam district of Andhra Pradesh are demanding a separate law to tackle drought and farmer’s security. This is not a new demand. What is novel is demanding legislative intervention to address continued drought. The droughts, they believe, are a direct consequence of climate change. The farmers spoke of the seasons becoming drier and drier. They talked about reduced moisture in the air during monsoon. Prakasam district has two agricultural zones; the rich and fertile region by the coast and the backward and drier region sans the benefit of either the northwest or the northeast monsoon. In that region farmers are routinely dealing with the aggravated heat and dryness, making their daily lives harder than ever before. Another set of farmers from Vizianagaram district of Andhra Pradesh spoke about how climate science and climate change, despite becoming global issues, have yet to evolve into political questions. Vizianagaram is known for producing jaggery. There, sugarcane farming dependent on water resources and irrigation facilities has become the microcosm of the challenges posed by climate change. Farmers drew attention to the comparative loss of 50-60% sugarcane production over the last decade. The monopoly of markets of seeds and pesticides by a handful of multinational companies (MNCs), has further aggravated the crisis. Neither the government nor the agricultural universities in India have considered ways and means of informing farmers of the increasing dangers of climate change. Not to mention the indifference of the political class – of both mainstream parties and kisan organisations. However, farmers have an intuitive ability to gauge changes in nature. For instance, a farmer from Vizianagaram described how the intensity of cyclones has recently deepened. And how cyclones such as Hudhud and Titli bore out their apprehensions. Cyclones are both growing in intensity and frequency destroying crops in one go, said the farmers. If political conversations around climate change have been pushed back, this is because of the political class’s acceptance of neoliberal economics since 1990. Agriculture falls under World Trade Organisation (WTO) guidelines, where the interests of international markets take precedence over domestic farmers. It is indeed unfortunate that the politics of the kisan movement has failed to draw linkages with neoliberal economics, climate change and environmental degradation and politics developed countries through WTO, World Bank and IMF. However, demands for implementation of M.S. Swaminathan committee recommendations and elimination of farmer’s indebtedness have an underlying message. They provide an opportunity to quit the WTO’s Agreement on Agriculture (AoA) and chart an independent policy for agriculture. The need of the hour is to tackle climate change and increase public investment in agriculture, unlike the crop insurance scheme that has turned out to be a scam. The resistance to genetically modified (GM) crops from farmers gave them a breather from further exploitation. However, the World Bank dictated policy for tackling climate change uses its smart agriculture policy to market GM crops. All this is couched in the language of drought-resistant and climate-resistant seeds that will be supplied by corporations. Unless we weave in climate change and the environment into the political agenda, policy-making and the Kisan movement, the issues of Minimum Support Prices (MSP), drought, farmer loan waiver and making farming a remunerative profession, will remain unresolved. It is shocking how little governments have contributed to fighting climate change and its effect on agriculture. Leaving aside the 2016 parliamentary standing committee report on agriculture, which deals with climate change, or the Economic Survey 2017-18 of India, which talks about the science of climate change affecting agriculture, the aspect of policy is either absent or visibly not taken into consideration. The moment for revisiting the grammar of the Kisan movement has arrived. Remember, farmers are marching not just for themselves but for the collective good of society. To save the people from hunger, the farming community must push the movement to recognise climate change as central to the agrarian crisis. 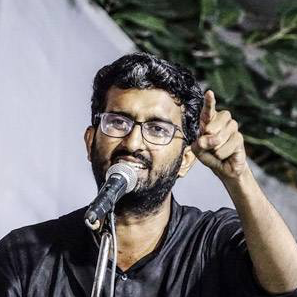 N. Sai Balaji is the JNUSU president and a junior research fellow at the Centre for International Politics, Organisation and Disarmament at Jawaharlal Nehru University.